﻿ Best Price on Hotel Residence Eden in Bayahibe + Reviews! 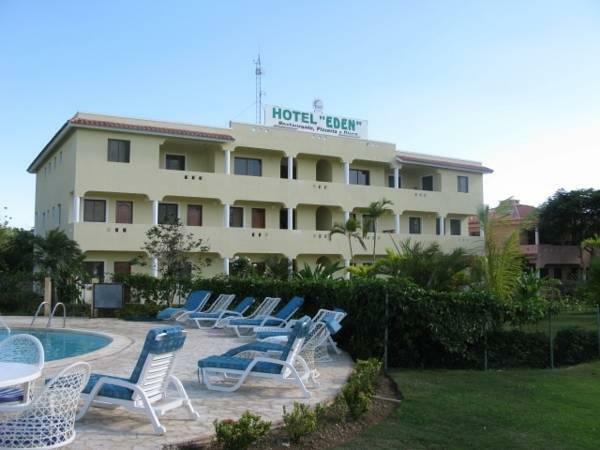 Hotel Residence Eden is located 5 minutes’ walk from Dominicus Beach and 1.9 mi from Bayahibe Beach. Free WiFi is available in some rooms and guests can enjoy an outdoor swimming pool. The rooms offer basic décor, air conditioning, a fan and cable TV. The bathrooms are private and have a shower and hairdryer. Safes are available upon payment of a refundable deposit. Hotel Residence Eden serves continental breakfast. There is also a small restaurant and an on-site pizzeria. Activities such as horse riding and scuba diving can be arranged at Hotel Residence Eden, and also tours to Altos de Chavón, Chavón River, Salado River, Saona Island, Catalina Island, Santo Domingo City, La Romana Town and Macao Beach. This property is 20 minutes’ drive from Altos de Chavon Medieval Village and 11 mi from La Romana International Airport. Please note that safes are available upon payment of a USD 50 deposit, which will be refunded at check-out. Kindly be informed that this property requires a USD 200.00 deposit for damages to the property, which will be refunded at the time of check-out. Please inform Hotel Residence Eden of your expected arrival time in advance. You can use the Special Requests box when booking, or contact the property directly using the contact details in your confirmation.